Consumer news. How to avoid being ripped off when you hire cars abroad. Could you live without cash? And the multibillion pound companies that are squeezing their suppliers. The Spanish Consumer Organisation says illegal car hire practices are harming their country's reputation. 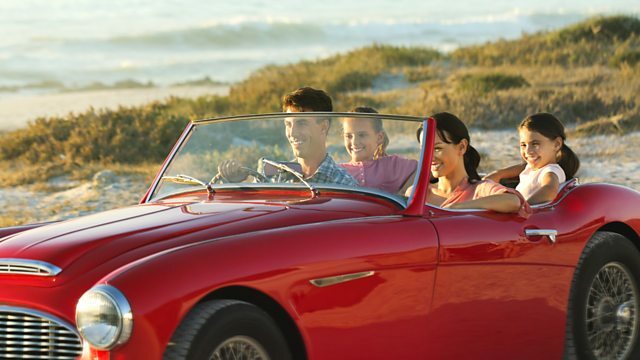 We find out how you can avoid being ripped off when you rent a car abroad. Could you live without cash? As one street experiments by using cards only we take a look at the future of money and ask if we really are ready to ditch the pounds and pence. And we investigate the multibillion pound companies that are squeezing their suppliers to make even more money. Which? has teamed with Spanish consumer agency to tackle car hire scams. People are still being illegally sold warranties by cold callers. Reporter Sam Fenwick learns about the work of hearing dogs and meets their owners. How close are we to ditching the pounds and pence? Reviews sites allow reviews from years and years ago to stay up on a businesses ratings.